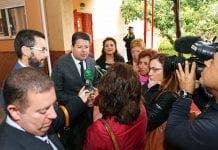 THE Government of Gibraltar is claiming that the Spanish authorities are now denying export permission for the supply of rock, sand and aggregate destined for projects on the Rock. The Chief Minister, Fabian Picardo, will raise the issue with the Foreign Secretary William Hague in London tomorrow, in addition to the other recent instances of action being taken by the Spanish Government at the frontier and at sea. The Government of Gibraltar has already identified and sourced alternative sources of supplies and, as a result, there should be no delay to any project as a result of these restrictions. Gibraltar has threatened legal action and has indicated that complaints to the EU Commission will follow if the restrictions are not removed. According to the information I have, the ban is due to be presented allegations for ecological crimes against the Government of Gibraltar by the fishermen because the surrounding waters are filled with these materials. Can’t understand your comment Anselmo. 1.Spanish concrete blocks bought from Spain, exactly the same as the ones used in creating artificial reefs all over the Andalusian coastline, were dropped in a small area that had been raked dead. 2.These said blocks are regarded as being ecologically sound in regenerating fish stocks. 3. We are looking forward to the EU observers to inspect these blocks. 4. The use of blocks to construct barriers in Sandy Bay will eventually lead to the creation of a lagoon in the area thus saving the beach, similar to many such schemes up and down the coast. 5. Apart from the above, there’s no further reclamation. Material is needed for building purposes. A reflection of a booming economy that can still finance new projects. how stupid can the spanish get?….its staring the gibbos in the face where they can get more rock!…mind you it would be understandable if in 3 years time gibraltar is only 2 meters high…….just a mo!…maybe thats madrids plan?,,,let gib dismantle its self!…………..BRILLIANT IDEA…dont you just love those spanish!!!!!!! Anselmo, Spain also dropped concrete blocks to make artificial reefs. Dozens of them, in fact, and one close by in La Linea I recall. Funny why you didn’t mention that fact lol. Gibraltar could just as easily get the rock trucked in from Portugal and there is absolutely nothing the Spain can do about it. Will Spain be giving Morocco back Melilla or Ceuta any time soon? I agree with you, It is a contradictory situation. But the fact is that some private associations have denounced the Government of Gibraltar for environmental offenses: A Grenade association ask jail for Picardo and his ministers, Manos Limpias association (whose extraordinary efficiency denouncing crimes terrorizes our politicians), and fishermen of Algeciras. And against the City Council of Tarifa by allowing the transport sand to Gibraltar, a complaint for ecological crime presented by an environmental organization. where I come from, there must be evidence of wrong-doing before anybody is charged. 1. How can you charge Fabian Picardo for environmental offences when these reefs have been created in Spain based on ecological reasons? It is a fact, only one boat fishes in the area involved using traditional methods which are now illegal. Isn’t any other fishing ground in the whole of Spain that they can use? 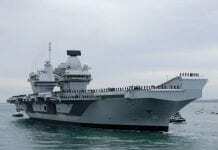 Spanish strategy towards Gibraltar has not been seriously planned. !. Tolls are illegal according to the EU. 2. Bunkering is legal according to the EU. 3. Gibraltar is on the financial regulations “white list” according to the EU. They are appearing rather foolish on the international stage. 1	Its a fact that there are some charges against the Goverment of Gibraltar by crimes against enviromental laws, I don´t know about these issues . But one of the charges is asking for jail. This is not probable that would have sucess. 2	There are charges for ecological crime against the spanish autorities who allowed the transport of the sand. 3 About the details of the activity of the fishermen, I can´t say nothing. 4	I agree with You about that there are not strategy about Gibraltar. a)	I agree with You about that tolls are ilegal .But I think that the fence must be closed. b)	The problem is not bunkering, It is the use of oil tankers for to stock the oil. c)	The Spanish Economic MInister says that Gibraltar must be retired of the “white list”. it would take me days to list all the environmental catastrophes created by blind Spanish greed over the centuries. The closure of the frontier (in theory of course as it contravenes EU agreements signed by Spain) would be detrimental to Gibraltar but not catastrophic. But have you considered the impact it would have on one of the most impoverished areas of Spain? I agree with you, but we must think about the future. That decision would be political, not economic. Why isn’t the decision based on the needs of human beings on both sides of the border? Aren’t politicians supposed to defend the people who elected them in the first place. Go and tell the literally thousands who make a living from the buoyant Gibraltarian economy that tomorrow they are out of work and they won’t be able to feed their families! Greetings from someone who is heading for Portugal tomorrow because I can’t trust parking my car in Spain. Blimey Fifi! that’s a long way to the car park! Politicians, first, worry about the struggle for power. On the other hand, History has taught us that people generally behave according to mass psychology (Pshicologhy of the masses, Bon Omme), which is almost completely irrational. I know. Could have had a couple of weeks up the coast but I’d rather not risk it and settle for a week with Britain’s oldest ally. In between money-laundering, arms, drugs, tobacco smuggling, contaminating the sea, preventing fishermen from fishing, living the high life in Sotogrande, throwing concrete blocks, gambling on the net etc. I spent four years studying English Literature in Nottingham University. Shakespeare’s Julius Caesar comes to mind. First you had Brutus’s speech then Mark Anthony’s. What a lesson on how to manipulate the mind of the masses! What I cannot understand is how the current Spanish politicians can spend so much time and resources on a three square mile rock with all the problems that they face. You might say it is national pride but surely providing jobs, solving the financial crisis and clearing up irregularities among top members of the political elite would take preference. But there you go. Maybe Margallo is trying to emulate Mark Anthony. I will have a great holiday.